Almost two years after their adventure began, Lewis and Clark and their crew packed their stolen canoe and began the journey home on March 23, 1806. 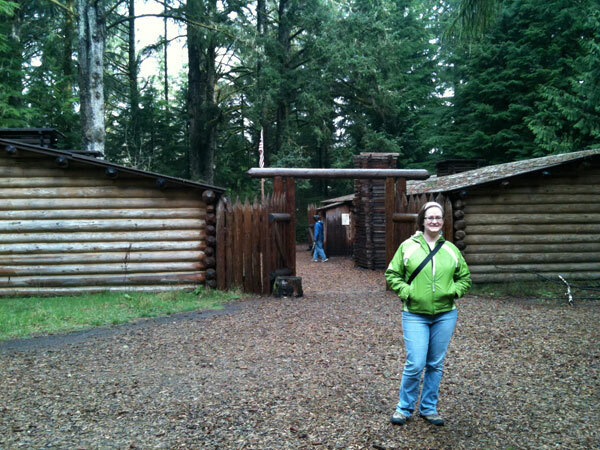 At 1 P.M. left Fort Clatsop on our homeward bound journey At this place we had wintered and remained from the 7th of Decr. 1805 to this day and have lived as well as we had any right to expect, and we can say that we were never one day without 3 meals of some kind a day either ore Elk meat or roots, notwithstanding the repeated fall of rain which has fallen almost constantly since we passed the narrows… we had not proceeded more than a mile before we met Delashelwilt and a party of 20 Chinnooks men and women. This Chief leaning that we were in want of a canoe some days past, had brought us one for sale, but being already supplyed we did not purchase it.